Dr. David Nguyen attended the University of Maryland, where he earned a degree in Neurology and Physiology. He then moved on to Barry University to study Biomedical Sciences. He obtained his Master’s degree and graduated at the top of his class. He earned his Doctorate of Dental Medicine (DMD) from Nova Southeastern University in Florida with Honors. After Dental School, Dr. Nguyen completed a one-year Advanced General Practice Residency at Lutheran Medical Center, a Level-I trauma Emergency hospital. During his residency, he focused on complex oral maxillofacial surgery and full-mouth cosmetic rehabilitation cases. He is a certified Invisalign provider and specializes in Cosmetic Dentistry. Some of his patients include Houston Texans Cheerleaders, Models, and Actors. He is meticulous when it comes to perfecting his patient’s smiles. Additionally, Dr. Nguyen has numerous patents filed and continues to invent innovative ways to advance the Dentistry field. 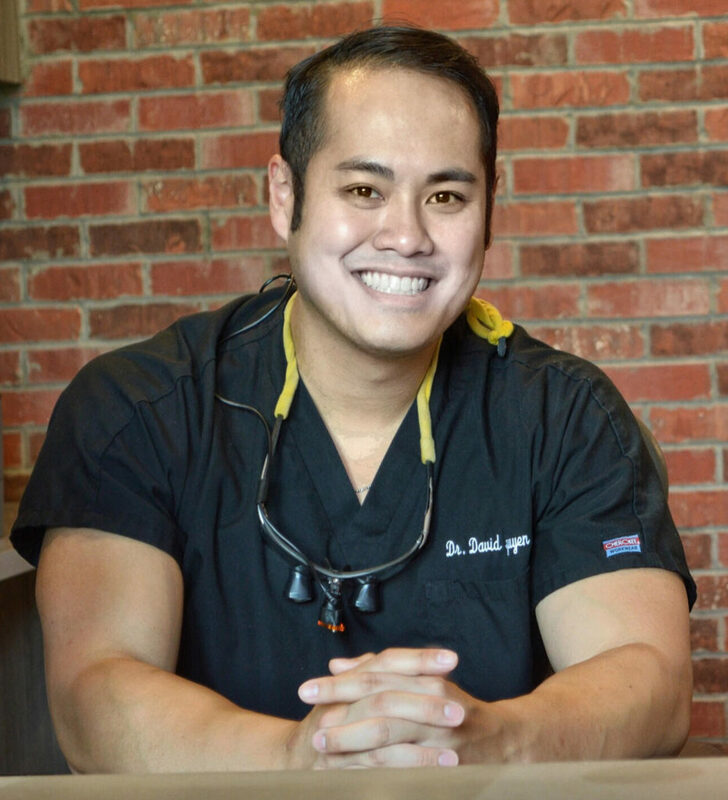 When he’s not in the office, you can find Dr. Nguyen playing tennis, enjoying the local art scene, or satisfying his own creative side by sculpting. He also enjoys volunteering with local charities in his spare time.